The popularity of hydro excavation today started with oil and gas industries in Canada. The Canadian contractors were able to see the efficiency of hydro excavation as compared to other methods of daylighting. The cold weather in Canada often caused the soil to be frozen. This made it harder to excavate using traditional methods. Canadian contractors discovered that using hydro excavation with heated water was a good way to get the job done. You can find quality hydro excavation companies near you by entering your zip code in our search bar. 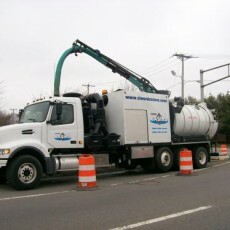 Hydro excavation equipment combines high-pressure water an air vacuum. This system cuts through the soils and breaks it up. The vacuum then lifts the slurry from the excavation area. The debris is transferred to a debris tank. Hydro excavation equipment needs a vacuum source. There are two choices for this, a fan system or a positive displacement blower. A fan system is able to move air in huge amounts. This allows for faster excavations. It is easier to control and operate. This is often lighter and less expensive than the positive displacement blowers. A displacement blower is able to move air in longer distances than the fan system. Excavation can be done at greater depths but at a slower rate. Most hydro excavation applications can be done more effectively using the fan system. Hydro excavation equipment combines high-pressure water with air vacuum. This system cuts through the soils and breaks it up. The vacuum then lifts the slurry from the excavation area. The debris is transferred to a debris tank. Hydro excavation brings a number of benefits to the industrial excavation world. It is now the most preferred method of digging because of its efficient and accurate results. The primary benefit of hydro excavation is that it provides for better damage and safety control when compared with mechanical methods. Since it is accurate, it limits accidents and injuries for laborers as well as other people. It also does a better job of digging. Using hydro excavation avoids damage to underground pipes, lines and cables. This in turn eliminates the high expenses needed for repairs and restoration. Needing to do fewer repairs means less time to get the job done too. Interrupted utilities bring inconveniences and high costs. This process of excavation is able to minimize damages. All these bring long run benefits as well. With the safety risks and repairs lessened, hydro excavation also reduces insurance and liability costs. As this process provides better results, a company’s reputation and profitability often increases. In general, hydro excavation is a method that creates a better service for the customer and that makes life easier for the contractors, the customers and the laborers.